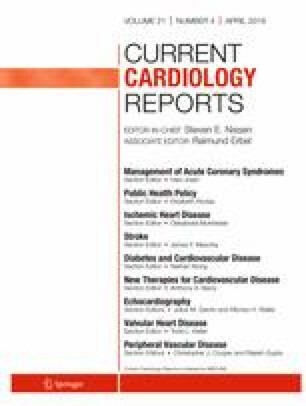 To review the clinical rationale for use of proprotein convertase subtilisin kexin type 9 (PCSK9) inhibitors in clinical practice. Despite widespread use of statins for lipid lowering, many patients at high cardiovascular risk continue to demonstrate unsatisfactory cholesterol levels and experience clinical events. This highlights the ongoing need to develop additional strategies to achieve more effective risk reduction in a greater number of patients. Proprotein convertase subtilisin kexin type 9 (PCSK9) plays an important role in the regulation of low-density lipoprotein metabolism. Inhibitory approaches that reduce PCSK9 activity have been demonstrated to produce substantive reductions in LDL cholesterol levels, when administered as either monotherapy or in addition to statin therapy. More recently, PCSK9 monoclonal antibodies have been reported to reduce cardiovascular event rates in large scale clinical trials. Increasing evidence suggests that PCSK9 inhibitors can produce effective lipid lowering in high risk patients. Ongoing work will identify those patients most likely to derive cost effective risk reduction with their use. Stephen J. Nicholls has received research support from AstraZeneca, Amgen, Anthera, Athernova, CSL Behring, Cerenis, Eli Lilly, Esperion, Resverlogix, Novartis, InfraReDx and Sanofi-Regeneron; and is a consultant for Amgen, AstraZeneca, Boehringer-Ingelheim, CSL Behring, Eli Lilly, Esperion, Kowa, Merck, Omthera, Roche, Takeda, Pfizer, Sanofi-Regeneron and Novo Nordisk. https://www.amgen.com/media/news-releases/2017/08/new-analysis-shows-repatha-evolocumab-reduces-cardiovascular-events-in-patients-with-history-of-stroke/. Accessed January 29, 2018.
https://www.tctmd.com/news/two-fourier-subgroup-analyses-show-added-benefit-evolocumab-those-pad-prior-mi. Accessed January 29, 2018.